Dr. Kristin L. Foley D.O., C.M.D., H.M.D.C. Dr. Kristin Foley D.O., C.M.D., H.M.D.C. is board certified in Family Medicine and Geriatric Medicine. She has been practicing traditional osteopathy since 2005. Currently she is Hospice Medical Director at Kindred Hospice in the Marlborough branch. As well, she is a voluntary Assistant Professor at the University of Massachusetts Medical School, Department of Family Medicine and Community Health. She has served as Medical Director of three hospice organizations in Central Massachusetts. She has lectured extensively on topics of geriatric and family medical care for Internal Medicine and Family Medicine resident physicians, geriatric fellows and medical students at UMass. 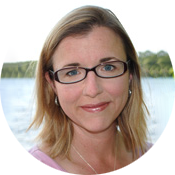 Dr. K. Foley graduated with highest honors in Biology from Bates College with a Bachelor of Science in 1993. After working conducting neuroscience research in Alzheimer’s disease at Massachusetts Institute of Technology and traumatic brain injury at the University of Pennsylvania, Dr. Foley earned her medical degree from the University of New England College of Osteopathic Medicine in 2001. She completed her residency in Family Medicine at University of Massachusetts in 2004 after being chief resident in her final year. She completed her fellowship in Geriatric Medicine at University of Pennsylvania in 2005. She also is a certified Medical Director (CMD) and a holds a Hospice Medical Director Certification (HMDC). Dr. K. Foley is a board member of the Massachusetts Osteopathic Society, which is a non-profit organization supporting osteopathic physicians in the Commonwealth of Massachusetts. As well, she is a member of the American Academy of Family Practice and the Cranial Academy. Before joining Boston Osteopathic Health in 2012, she served as attending physician and geriatric fellowship faculty at UMass Medical School, Autumn Village Skilled Nursing and Rehabilitation, and St. Mary Health Care Center. Dr. K. Foley has a specialty practice in traditional osteopathic comprehensive care of patients, treating acute and chronic disorders using osteopathic treatment. She sees palpation and human touch as vital components to connecting to a patient and providing effective medical care. She believes in thoughtful and sensitive review of medication delivery, with the elimination of ineffective or harmful pharmacologic agents. Her appreciation of the infinite beauty and complexity of the human body drives her passion for osteopathic care.